I see there's now over 1GW of installed PV capacity in tracking systems. What have been the economic factors behind this? I'd pretty much written off both 1-axis and 2-axis tracking in my mind, because of the maintenance issues, and the increased land requirements: together, these meant that fixed mounting would be superior to trackers. And even more so, given how cheap the PV panels themselves have become. And yet lots of tracking PV capacity has now been built. What are the economic drivers behind this? 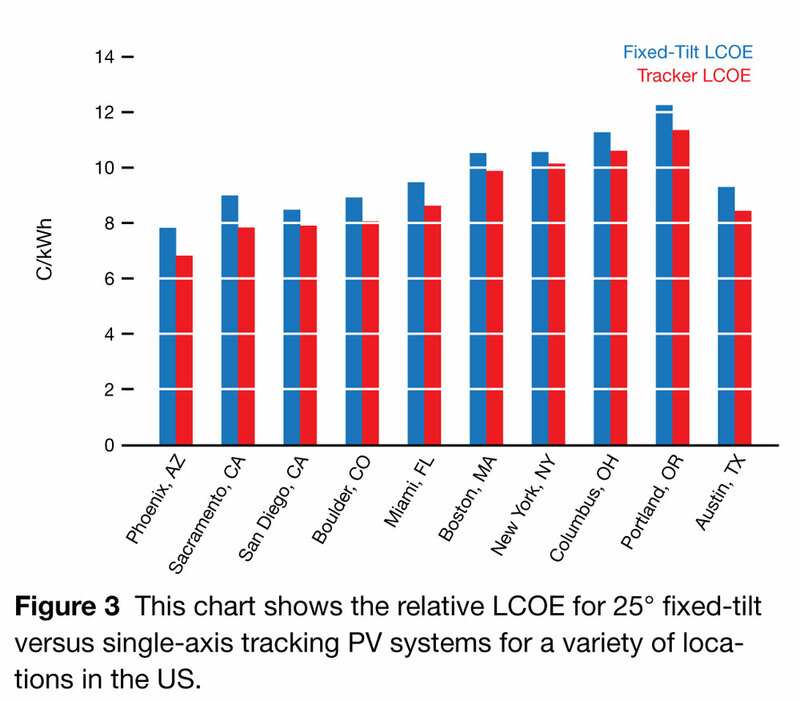 But how did tracking PV get so cost-competitive? Lots of tracking PV has NOT been build. Recently I read a story that current PV installations are running about 1 GW/week. Yes, WEEK. That is about the same amount as all of the 20th century. 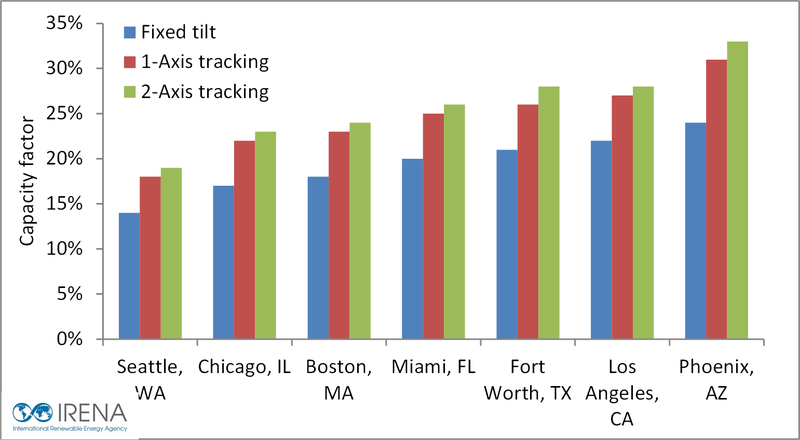 PV tracking made sense when the price of PV was very high compared to the price of tracking. Tracking doesn't drop very fast. As PV costs come down it becomes cheaper just to install more racks. Tracking PV means (by it's definition) a more complex construction. It means more complex servicing and installation. But why not add features to reach a much better solar gain and lower price per Watt? The pros can outweigh the cons. Much more efficient PV cells (claimed 72%). Thanks to cooling the PV cell works at a lower temperature (better efficiency). Much higher solar gain in hot climates than fixed installation (sun path is changing significantly during day and seasons). It's supported by the stated IRENA figures. Not the answer you're looking for? Browse other questions tagged solar-power photovoltaics economics or ask your own question.